Superior Service Heating & Air Conditioning is the areas eco-friendly heating contractor and cooling system installation, maintenance, and repair provider for clients throughout our West Virginia and Virginia service area. We offer comprehensive ClimateMaster® geothermal system installation and maintenance service for customers, as well. Let us help you realize significant energy savings with a geothermal system installation that enables you to save up to 80% on your energy bills. Preview the available energy-saving models from ClimateMaster for installation by Superior Service Heating & AC. We are a ClimateMaster GeoElite® Dealer. Let us know which model you are interested in having us install from the world’s largest and most experienced manufacturer of geothermal heat pumps systems. Contact us for a free evaluation to discover the perfect furnace to meet all of your home heating contractor needs with the power that you require for reliable comfort and the efficiency that you need to best manage the budget of your home. We proudly install American Standard® and Bryant®. 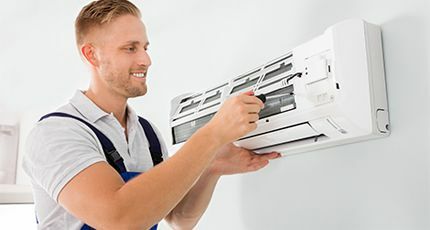 Let us help you achieve cool comfort that you can depend on throughout your entire home with installation of one of the most advanced, energy-efficient air conditioning units from American Standard® We can install your unit fast to allow you to enjoy all of your days and nights in absolute comfort. Most are surprised to discover the quantity of dirt, allergens, mold, and other health hazards that lurk within the air ducts of the average home. Contact us for prompt, thorough cleaning of the ducts that carry your heated or cooled air throughout your home. Improve the quality of the air you breathe and the energy efficiency of your HVAC system with a professional cleaning every 2-3 years. We will help you determine and achieve the optimal humidification level throughout your home to maintain the health and comfort of your family and prevent damage such as cracked wood and static shock damage to expensive electronics. Superior Service Heating & AC installs the finest precision whole-home humidifiers from Aprilaire®. Let us help you enjoy your swimming pool earlier and later into the swimming season than you ever thought possible. Get the most out of your pool with the best prices on high-quality heat pumps from our top manufacturers. We proudly serve residential clients throughout West Virginia and Virginia as the region’s most committed HVAC contractor and home comfort services provider. 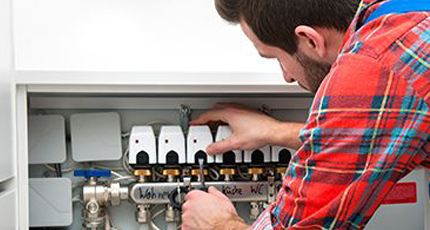 We are available to serve your needs at any time and offer installation of the highest-quality brands of heating and cooling equipment to ensure that you get the most value for your dollar and an installation that will endure. Superior Service Heating and Air Conditioning is West Virginia and Virginia’s preferred geothermal system installation service provider. We are a certified ClimateMaster GeoElite® Geothermal Dealer and provide comprehensive geothermal installation services for all types of property layouts. We also offer maintenance and repair services for all types and brands of geothermal systems throughout the region. We are dedicated to providing the highest quality geothermal equipment and installation techniques to help you maximize your energy savings and experience the supreme comfort that you can only get from a professional geothermal system installation. Whether you have a large rural estate or a plot in town, we can help you save up to 80% on your energy expenses all year round! For a complimentary consultation for system replacement or to schedule your installation, maintenance, or repair service, contact us at 304- 596- 8857. ©2017 Superior Service Heating & Air Conditioning.